In most posts, you will see in bold at the bottom “Download Resource” (or “Íoslódáil an Comhad” in Gaeilge resources). By clicking on this, you can download the resource. You can then save the resource to your computer. Can I edit a resource? Most of the files to download are in PDF format which makes it easier for everyone to download and it keeps the formatting as it was designed. However, there are a small number of files in Word format which can be edited. There are also lots of files in Powerpoint format and these can also be edited. If you edit a file you are kindly asked to leave the Seomra Ranga copyright notice intact at the bottom of each page, in recognition of the site as the creator of the resource. Are the resources subject to copyright? In short, yes – all of the resources remain the copyright of Seomra Ranga and site visitors are strongly urged to respect this copyright. The resources can be downloaded for your own personal or classroom use only. You can print out the resources, photocopy them and make them available to your pupils for use in the classroom and for homework. The resources on the site may not be reproduced for others in any form. No, resources may not be reproduced, stored, included or made available on any other website or in any other printed or electronic form without the express permission of Seomra Ranga. Resources may not be stored for sharing with others on sites such as Dropbox, Box, Google Drive, Skydrive, iCloud or any other such file sharing websites. Can I upload a resource that I have created? 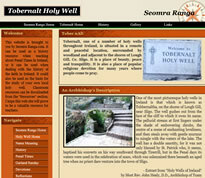 Yes, many teachers have generously shared resources that they have created through the Seomra Ranga website. Seomra Ranga reserves the right to determine if the resource is sufficiently well created to be published on the site. Teachers who have created resources must be able to prove that images contained in the resource are free of copyright before they are published on Seomra Ranga. Can I make resources smaller before I print them? Yes. If you find that some posters/flashcards are too large for you they can be made smaller. Simply, go into your printer “Preferences”, and choose to print the resource either two or four per page before you print. Can I print resources in black and white rather than in full colour? A small number of the resources which are in full colour come with a black and white option. However, you can also go into your printer “Preferences”, and choose to print the resource in “greyscale” before you print it out. Can I subscribe to the site via email? Yes. There is a section in the sidebar where you can enter your email to subscribe to the site. This means that you will receive a maximum of one email per day, informing you of new resources added to the site – it’s a great way of keeping up to date with the site. 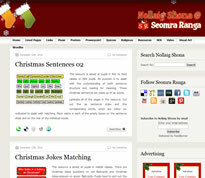 Seomra Ranga does not make your email available to any third parties for any purposes.